The development of the pre-tribulation Rapture is generally attributed to John Darby of the Plymouth Brethren, who formalized his theory around 1830. He was the first to formally theorize that Jesus would return in two stages: first, in a spiritual form to rapture the Church, and then in bodily form seven years later to judge the world. Up until Darby, the return of Christ was seen as a singular event -- Jesus would return to earth ONCE, to rapture his Church, to redeem lost Israel, and to judge the wicked and rebellious world. Let’s remember that the book of Revelation was not written until 90 AD. Until that time, the early Church formulated its view of the end times based on the teachings of Jesus (the Olivet Discourse, etc. ), and of Paul. This led to the early belief that the Rapture occurred at the Revelation. Perhaps the Second Coming, the Rapture, and the Day of the Lord were not to be taken literally after all. Augustine proposed that perhaps the kingdom of God was not a literal kingdom, and perhaps there would be no physical, earthly millennial kingdom over which Christ would rule. Instead, perhaps the kingdom of God was spiritual, fulfilled in the hearts of faithful men. Perhaps the Millennium was already here, now, manifested as the Body of Christ in the Church Age in which we live. He taught that the sufferings of persecution were the (spiritualized) Tribulation and that the (spiritualized) Antichrist was behind these persecutions. This is known as the allegorical method of interpretation. It spiritualizes the text. It avoids the common sense understanding of a text in favor of whatever the reader wishes to be there. 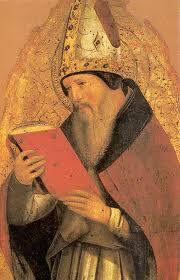 This teaching of Augustine’s was commonly held throughout the Dark Ages (AD 500-1000). During this time, the Scriptures were hardly read at all. When they were, they were spiritualized after the method of Origen and Augustine. Then during the Reformation in the 1500’s, the Church returned to extensive Bible study and a literal reading of the Scriptures. Initially, this return extended only to theological issues pertaining to doctrines such as faith, grace, and the atonement; eschatology remained where it had been left off—allegorized. By the 1800’s, the scholarly community was ready to take all of the Scriptures literally again. Using the literal method, they rediscovered the literal reign of Christ during the Millennium, and the literal Tribulation period just prior to it. These scholars also discovered that the Antichrist had NOT as yet been revealed, and that the Tribulation had NOT as yet started. To summarize: Up until to the 1800’s, the persecuted Church had correctly believed that the Rapture/Revelation occurred after the Antichrist was revealed and after the Tribulation. But they had also come to believe incorrectly that the Antichrist had been revealed already. Therefore they reached the wrong conclusion that Christ could come at any moment. This is known today as the imminent return of Christ.